Batter breads such as this recipe for Oatmeal Batter Bread are much easier to make than regular yeast breads because you don't have to knead them. This hearty loaf is ready in under two hours, most of that rising time. The trick with batter breads is to beat them well, but don't overbeat them. Follow the time instructions in the recipe. You want the gluten to develop in the bread, but you don't want so much gluten that the bread is tough. The mixture should still be a batter; in other words, you won't be able to pick it up with your hands, but it should be thicker than a cake batter. It should be difficult to stir when you have all the flour added. You could substitute some whole wheat flour for some of the all purpose flour in this easy recipe. Use about 1 cup of whole wheat flour to start with. 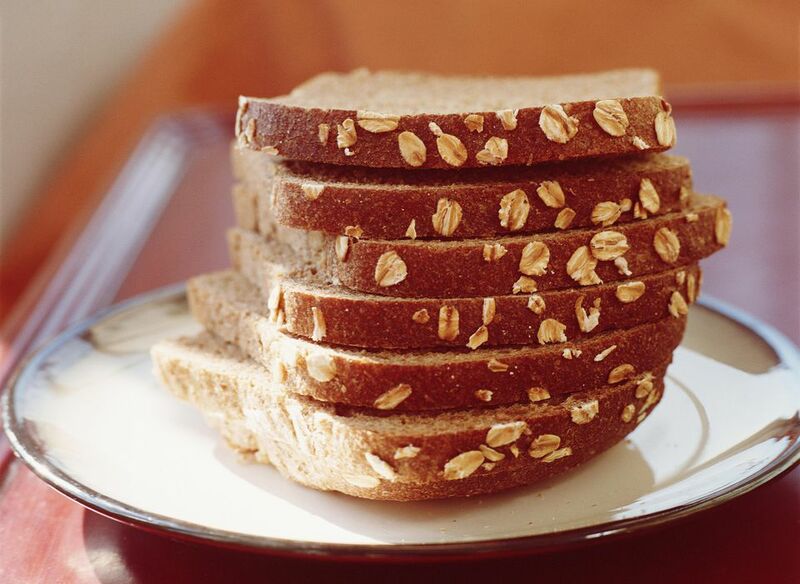 These types of breads don't keep very long, so if it lasts more than two or three days, cut it into slices and freeze. So the slices don't stick together when frozen, place them individually on a cookie sheet and freeze until firm. Then package the frozen slices into a freezer container, label it, and freeze up to 3 months. You can toast this bread straight from the freezer, and it makes wonderful toast. Grease an 8x4" loaf pan with solid shortening or spray it with nonstick baking spray containing flour. In a large bowl, combine 1 cup all-purpose flour, oats, salt, and yeast and mix well. In a small saucepan, heat water, honey and butter until very warm, about 120°F. Add this warm mixture to the flour mixture along with egg, and beat for three minutes. Stir in additional 1 to 1-1/2 cups flour to make a stiff batter. Cover batter and let rise until light, about 25-30 minutes. Stir down the batter and spoon into the prepared pan. Cover the loaf with a clean kitchen towel and sprinkle with 2 tablespoons oats. Let rise until batter reaches top of pan, about 15-20 minutes. Meanwhile, heat oven to 375°F. Bake the bread for 35-40 minutes until the loaf is golden brown and it sounds hollow when lightly tapped. Remove the bread from the pan immediately and place on a wire rack to cool.